Mac LCD: How about some Home Automation? I don't mind a complicated set-up, as long is everything is stable enough that my wife doesn't get annoyed at things not working. In general, home automation subjects seem well-documented on the internet, and I can hopefully program around any total road blocks I have. Since I have an older Amazon Dot around here, and I have experience programming a DSC alarm system on my old house, support for those is an added bonus. While Apple's HomeKit looks very slick, it, of course, uses a Apple's own protocol, and the devices seem fairly expensive. I would like to use some cheaper alternatives, if possible. Insteon seems like a very solid choice, but their products are not cheap either. And the Insteon Hub Pro HomeKit-Enabled is not getting good reviews. 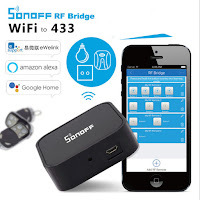 I'll leave the home automation protocol comparisons to others, and I may wait a bit to choose a final solution for my in-wall dimmers and such. With my hesitancy to commit to a standard other than Apple's Hope app, and the need to have good integration with other technologies, I will need a very flexible solution. openHAB seems to fit the bill nicely. It has support for Alexa, bindings to interact with HomeKit, DSC alarm systems, and pretty much anything else you could want. Since Insteon and Homekit accessories are fairly expensive, and I haven't committed to a standard yet, I was eager to see products that supported many of the cheap wireless outlets and accessories. These 433Mhz devices aren't secure, but I will only be using them for testing and low priority items. Hook is a great example of a product that integrates Alexa and these cheap outlets. But, Hook uses the cloud and I don't see much support for it under openHAB. The Sonoff RF Bridge is a similar product which is VERY cheap on eBay. It looks great, except it also uses the cloud. What is cool about it is that you can flash it with new firmware to make it use MQTT and make it very openHAB compatible. But, I'm not sure I will have the patience for all of that. They are so cheap, I bought one anyway to try out. RfLink Gateway is another nice piece of software, but again, too much flashing and hardware hacking for now. 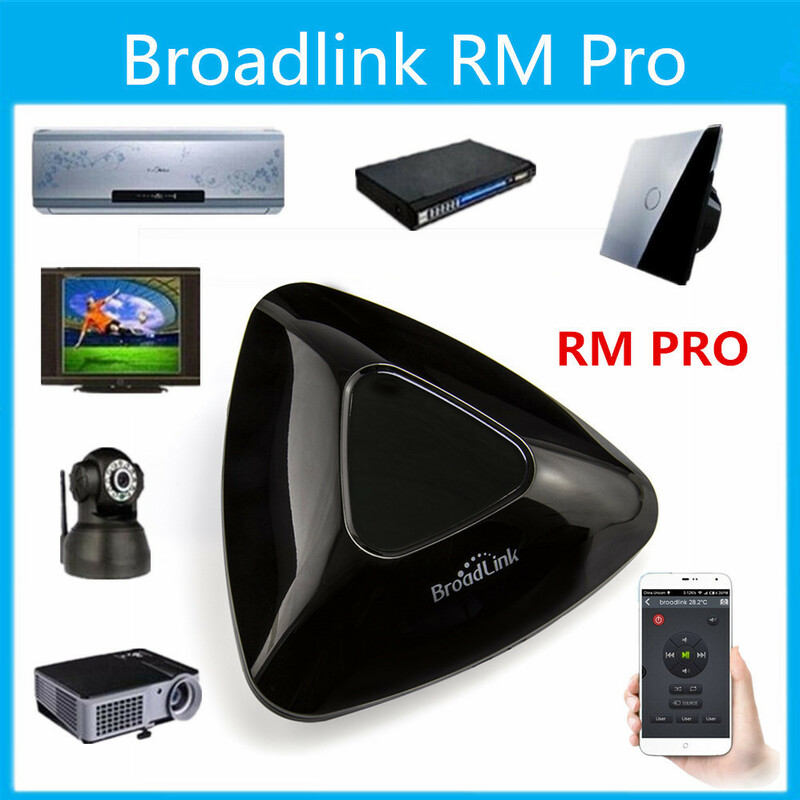 Finally, I found the Broadlink RM Pro which is essentially a WiFi enabled IR/RF universal remote. It is basically an inexpensive Logitech Harmony Hub (which is also supported by openHAB, and would make a great alternative). It has some early openHAB support and will work with 433Mhz RF or infrared remotes. As a bonus, it already works with Alexa. They are also inexpensive. I just bought one on eBay, and I'm eager to try it out. Hopefully, I can contribute to this binding being fully featured and supported in openHAB. My new house does not have an alarm system installed. 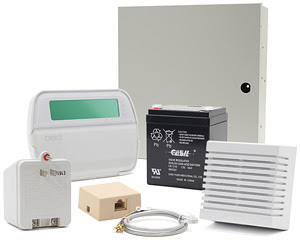 I installed a DSC alarm system kit on my old house and found it to be very reliable. It was nice to see openHAB has good support for the DSC Ethernet module. I saw an excellent deal for a kit on eBay and just bought one. The kit is the "DSC KIT64219SE". It is basically a hybrid wired/wireless DSC alarm system from their PowerSeries. The price was way too good of a deal to pass up, even though escrow has not yet closed on the house! I will need to buy a lot more sensors, detectors and an ethernet interface to complete the install though. Labels: DSC alarm, home automation, HomeKit, openHAB.